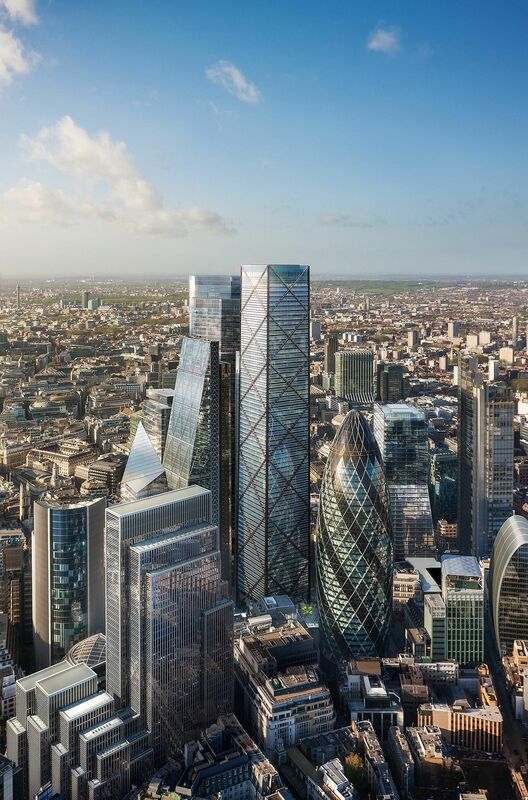 Sandwiched between the wedge- like Cheesegrater and the pickle- shaped Gherkin, the design for the latest skyscraper in London's financial district may come off as a tad regular. With its simple rectangular facade, 1 Undershaft does not challenge the novelty silhouettes in the neighbourhood. Not that its British architect Eric Parry was looking to outdo the neighbours with a more outlandish spectacle. Instead, he was hoping to add some "sobriety" to the skyline. But there is no disputing that, height-wise, the building, slated for completion within six to 10 years, will be an imposing presence in the city. At 73 storeys and 304.94m high, it will be the tallest building in the City of London financial district and the second tallest in Western Europe. The "tallest building in Western Europe" title goes to The Shard, a 95-storey spire-like skyscraper by Italian architect Renzo Piano that stands across the River Thames from 1 Undershaft. But Mr Parry, 64, is not interested in a height competition. "With the increasing number of tall buildings, the designers were all trying to do something different," he tells The Straits Times in a recent interview. "But the skyline has become like a strange theatre set, where the pieces don't really speak to one another. "There's such a predisposition to (unusual) shapes and forms that my immediate response was that we needed some dignified calm here." The Guardian reported in 2015 that 1 Undershaft got its name as a tall maypole loomed over the site in mediaeval times. The skyscraper has a strong Singapore connection. The building, which will provide office space for 10,000 people, is commissioned by Aroland Holdings, a Singapore- based real estate developer. Aroland is partly held by HPRY Holdings, which is, in turn, owned by Singaporean billionaire Kuok Khoon Hong. He is the co-founder of Wilmar International, the world's largest palm-oil processor. Aroland had put out a design competition for the building, which Mr Parry's 34-year-old firm, Eric Parry Architects, won in 2014. The firm provided an understated blueprint for a building that combines commercial office spaces with several public areas at its highest and lowest spots. The building sits on the west side of the site and in the centre of the plot will be a sunken plaza with cafes and shops to attract human traffic. There will be a 360-degree public viewing gallery, spread across the two highest floors, which Mr Parry will develop in collaboration with the Museum of London. He hopes that the bird's-eye view of the city from the gallery will give visitors a comprehensive history lesson of London's architecture and its influences. A restaurant will be housed below the gallery. The Kuwait-born architect, who started his career as a lecturer at the department of architecture at the University of Cambridge in 1983, says: "Rather than having the top part of the building celebrating a corporate place, I strongly feel it should be a civic place of opportunity. Looking over London, you can see the fantastic layers of history." He plans to clad the building with a white vitreous enamel that "acts as a skin to protect against solar penetration while allowing you to see out". In the sun, the building will shimmer white, instead of looking green from the tinted glass that many other buildings have. He says: "The city is turning into a swamp of bottle green-coloured glass buildings. When light reflects off the green, people look sick. That's very unhealthy." He sounds like he is an old hand at designing skyscrapers, but 1 Undershaft is actually the tallest and biggest project he has done. Eric Parry Architects has taken on mostly low-rise offices, cultural and residential projects, though these are no less significant. It has worked on some of London's most notable contemporary structures. These include the Stirling Prize-nominated 5 Aldermanbury Square, an 18-storey commercial building; and a luxury apartment complex in Albemarle Street in the Mayfair district, which was converted from office space. It is also behind the sensitive restoration of many old buildings, including the St Martin-in-the- Fields church in Trafalgar Square and the acclaimed new extension for the Holburne Museum of Art in Bath. It has worked on lifestyle projects, such as the rooftop spa of the Four Seasons Hotel in London and two bars and a dance floor for the Ministry of Sound club there. Mr Parry ventured into South- east Asia about two decades ago, designing two condominiums in Kuala Lumpur and taking on small interior projects for some residences and F&B outlets. He has an office in Singapore with two staff, which he started about four years ago. But unlike his British compatriots such as Norman Foster and the late Zaha Hadid, who have put their names to major properties here, he has remained relatively low-key. Designing buildings for the tropics, he says, is a welcome challenge after working with the English climate for so long. "I think the time has probably come and doors are open. Starting the Singapore office was a response to my feeling to wander more in my latter years." He praises the Republic's success in building skyscrapers that have worked in greenery and carved out courtyards at high floors, such as home-grown firm Woha's Oasia Hotel Downtown in Tanjong Pagar, where this interview takes place. He says: "Even though Singapore has only a short history of design, there's lots to learn from it. Architects here took on the idea of building bioclimate buildings and have done it well. Nowhere else in the world matches Singapore's level of sophistication for these buildings." While he susses out business opportunities here, he will be busy with the construction work on 1 Undershaft. In December, its plans were formally approved by the City of London's Planning and Transport Committee. Like its quirky neighbours, 1 Undershaft has been given a playful moniker that has Mr Parry cringing. It has been nicknamed The Trellis for the distinctive red steel crosses that run the length of the building. He says: "I don't like it. I think its current name is quite dignified. But if it becomes The Trellis, I'll live with it." Designed in 1726 by Scotland-born architect James Gibbs, St Martin-in-the-Fields is one of London's best-known churches. 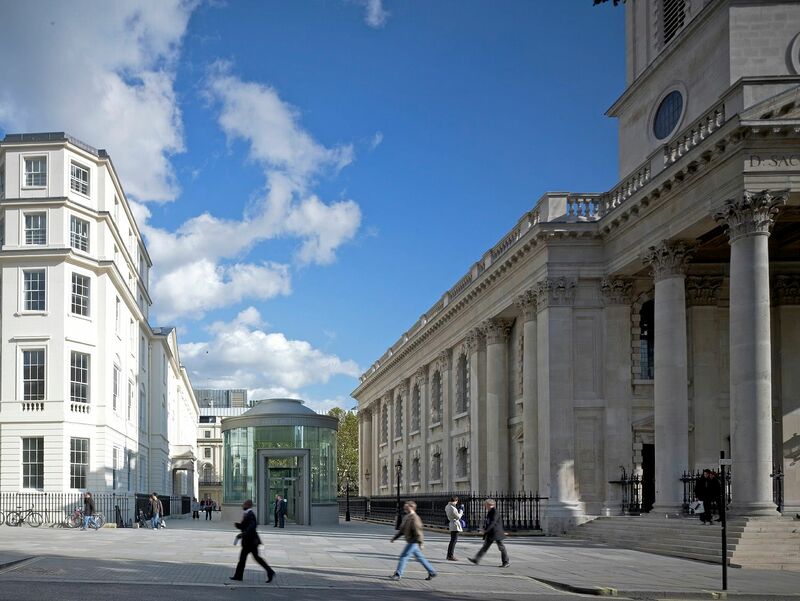 Eric Parry Architects was tasked with restoration and renovation works for the multi-purpose space, which sits at the north-east corner of Trafalgar Square. The architects decided to take out additions that were made through the years and detracted from the church's original Baroque look. Major restoration work included replacing the linoleum floor with a pale Isle of Purbeck stone and a thorough cleaning of the church's exterior. The architects also had the complicated job of seamlessly integrating various uses of the church and the other old buildings on site. These spaces have vastly different uses, including providing housing for the homeless and a community centre. So, they decided to dig under the delicate building to create more space to house a shop, a large hall, a small chapel, offices and a new rehearsal space. A new glass pavilion was built as the entrance to the new space below. The £36-million refurbishment was completed in 2008, two years after building work began. Located on Jalan U-Thant in the Malaysian capital's ambassador district, Damai Suria is a low-rise condominium building with 32 apartments. Designing for a tropical climate, Mr Eric Parry linked the units with wide passageways and installed windows that facilitate cross- ventilation. 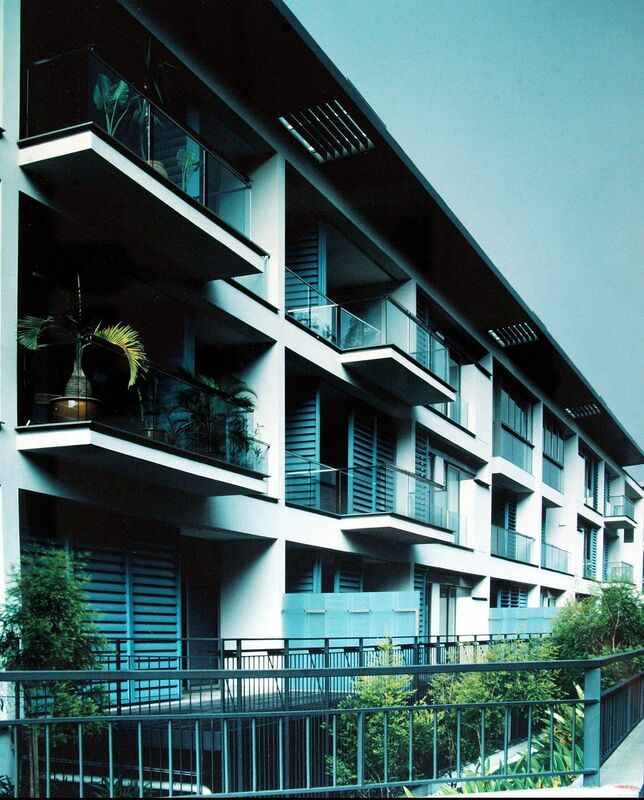 Completed in 1998, the RM24-million project spanning 10,117 sq m also has tropical landscaped gardens. It became the first Malaysian building to be featured on the cover of the official journal of the Royal Institute of British Architects (Riba). Mr Parry's other Malaysian project is Iringan Hijau, another low-rise residence with 26 units of different sizes in the affluent Ampang Hilir neighbourhood. It was completed in 2009. 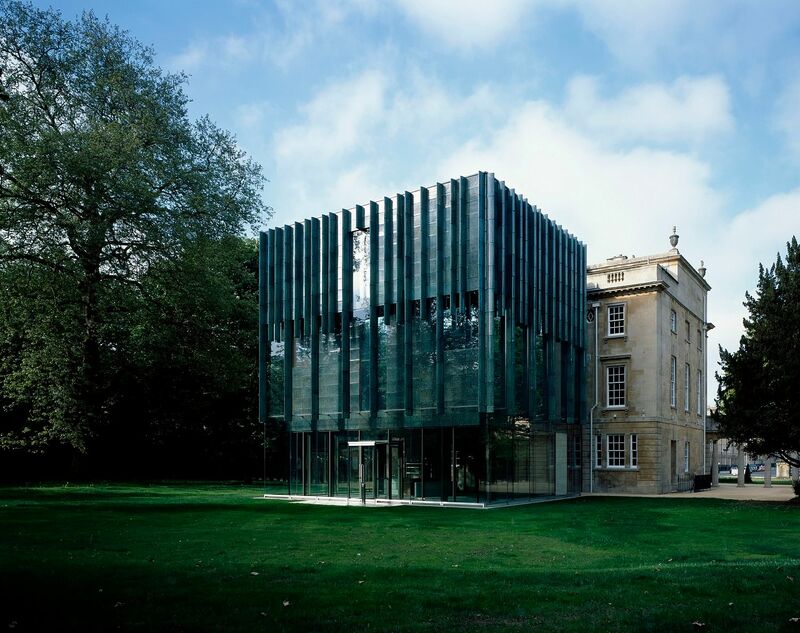 In 2011, Eric Parry Architects completed work on an extension to the public art gallery in the city of Bath. This included new gallery spaces, archives as well as educational and visitor facilities. Founded in 1882, the Holburne was Bath's first art museum and is filled with paintings, portrait miniatures, Renaissance bronzes, ceramics and furniture. It is also known for its collection of 18th- century British paintings. The firm's proposal for the addition to the Georgian building did not always sit well with the local council, though it eventually came around. The extension at the back of the museum is a glass box, with turquoise ceramic fins running down from the top of the building. It is also linked to the original museum building. Prior to the £11.2-million restoration, the museum drew few visitors. In 2012, The Telegraph, a national British daily broadsheet, reported that the museum had become Bath's third-biggest tourist attraction. It has also won the Riba 2012 South West Building of the Year award. 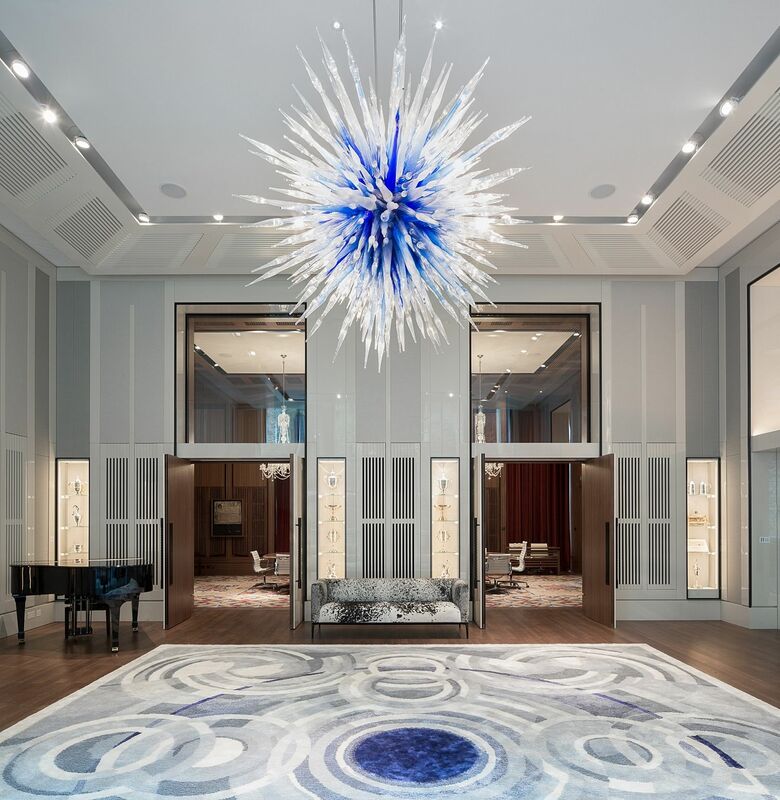 A glass sculpture by American artist Dale Chihuly hangs in in the reception area of The Leathersellers Company. The brief for the seventh headquarters of this historic livery company involved providing a new company hall in the basement of an existing building. Eric Parry Architects carved out spaces for a library, dining hall, reception room and a meeting room called The Court Room. The posh spaces feature lots of luxurious materials, as well as precious fixtures that have been with the company as it changed homes through the years. For example, The Court Room has walls made of American walnut wood. Two 19th-century glass chandeliers, from its previous headquarters, hang above the meeting-room table. Other highlights include a blue- and-white glass sculpture by American artist Dale Chihuly in the reception area. Work started on the project in 2012 and was completed last year.